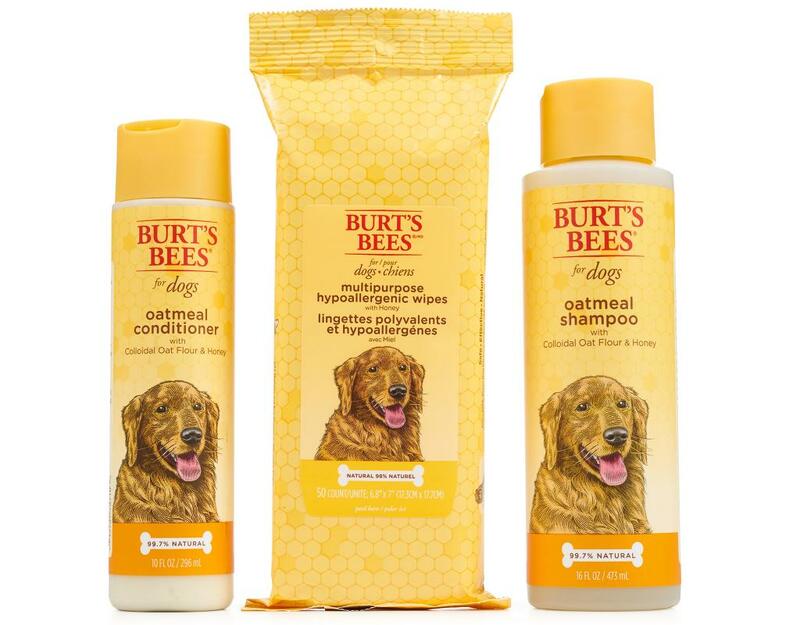 Burt's Bees Natural Pet Care now brings nature's solutions to our beloved pets with a specially formulated line of natural grooming products. 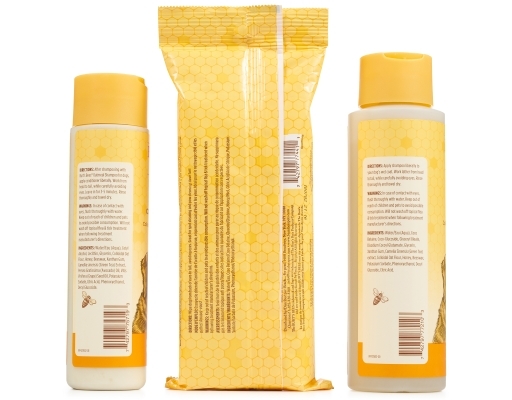 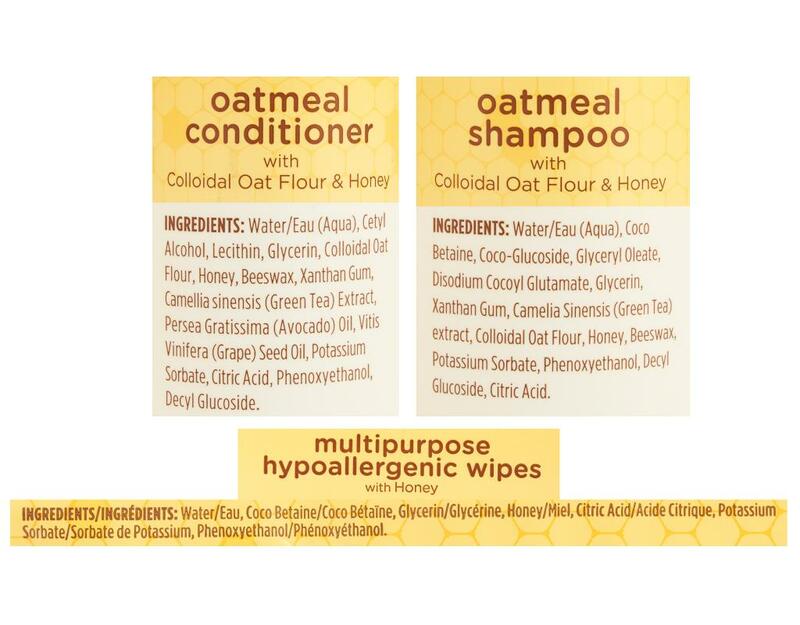 Oatmeal Shampoo with Colloidal Oat Flour & Honey + Oatmeal Conditioner with Colloidal Oat Flour & Honey: Burt’s Bees for dogs Oatmeal Shampoo is made with some of nature’s finest ingredients for your peace of mind and a happy dog. Tap into nature’s power with this gentle conditioner made with Colloidal Oat Flour to deeply condition dry skin and Honey to give fur a super shine. 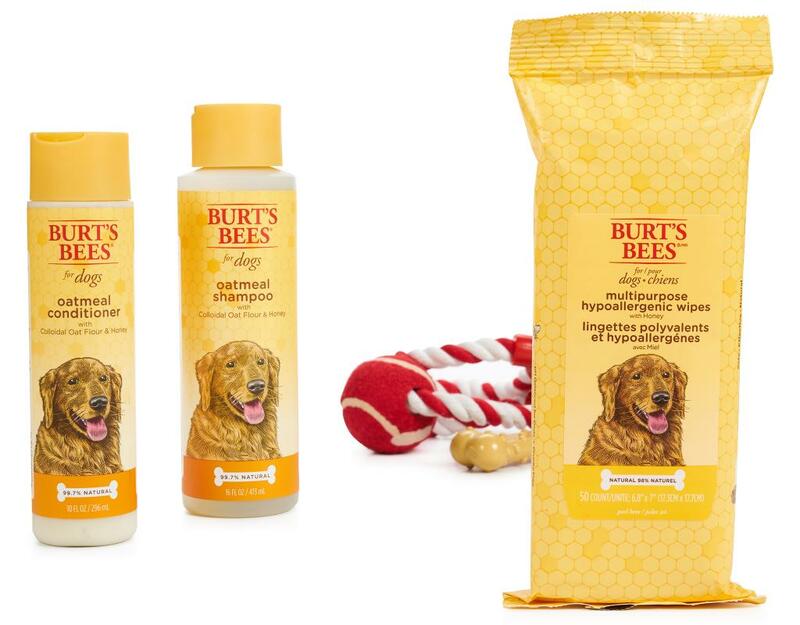 Multipurpose Hypoallergenic Wipes with Honey: Burt’s Bees Hypoallergenic Wipes for dogs are made with some of nature’s finest ingredients for your peace of mind and a happy dog. Tap into nature’s power with this gentle cleanser made with naturally hypoallergenic Shea Butter for deep moisturizing and Honey to give fur a super shine.